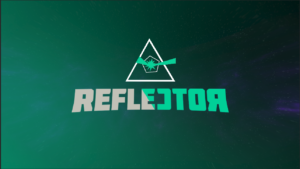 Originally made in 8 weeks by a team of 5 for a student project in our Game Production class, Reflector turned into a passion project for us. One of my original teammates and I gathered three other people to work on Reflector between classes over the second half of summer. 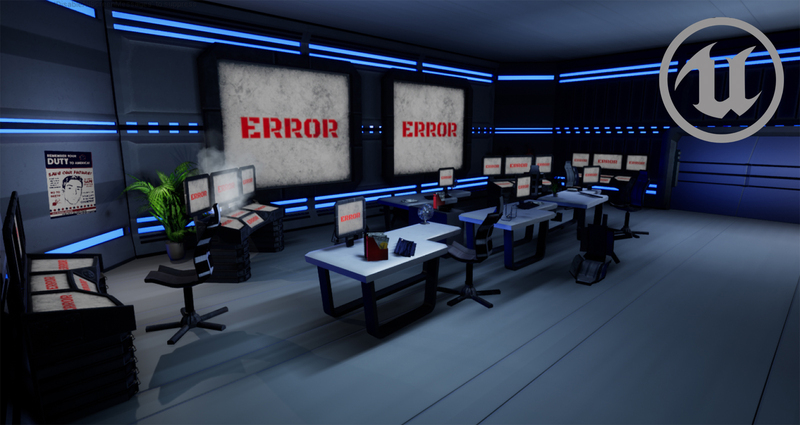 Being able to recreate our game in another engine was a fantastic experience. It really helped us to hone our game design and level quality. This was the first time I had worked in Unreal, which proved to be a daunting task. We succeeded and presented at the OrlandoIX tech and gaming conference on August 18th, with three functioning levels. 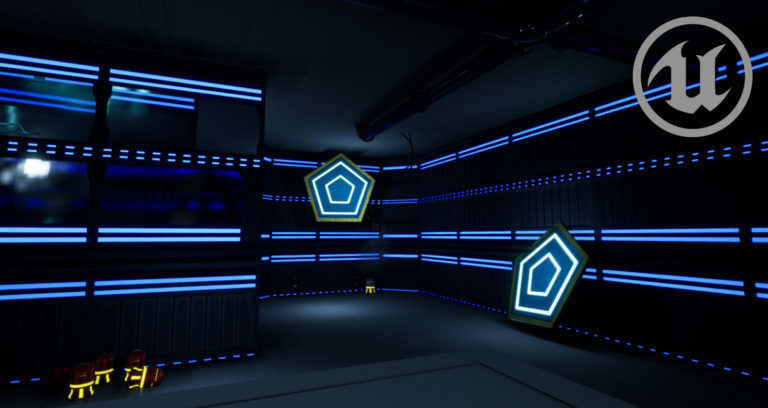 Reflector is a 1st-person puzzle exploration game that takes place in a space station. 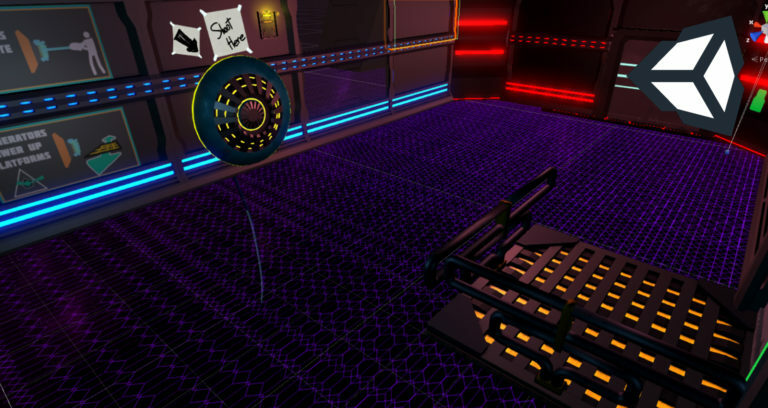 Players have a gun that shoots projectiles which reflect off of panels and teleport players to the point of impact. This creates lots of interesting angle puzzles and gameplay opportunities. I was the Creative Director, and created all puzzles and levels. Additionally, I created many of the sounds for Reflector by editing and combining different effects in Audacity. Afterwards, I implemented these sounds. 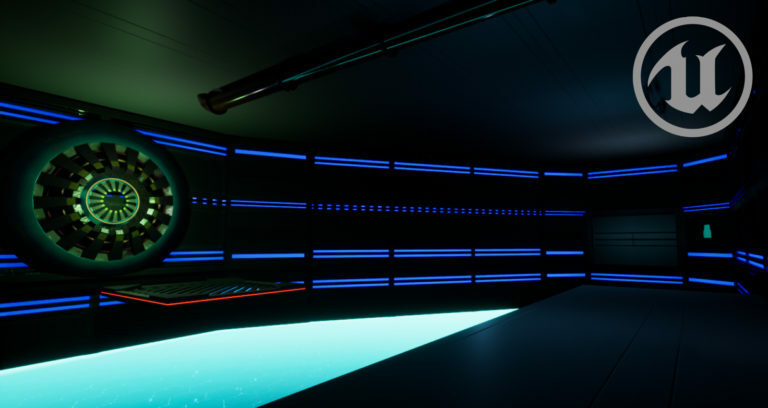 The most exciting part about porting Reflector to Unreal 4 was the chance to hone our design. We made several core gameplay changes to provide a better experience. One of these changes was to let the player only teleport if they had already reflected off of a panel. This allowed for us to constrain the player more easily, encouraging them to interact with the puzzle in the intended way. The other main benefit was being able to work on levels again with much more experience. It’s difficult to see the forest for the trees when in the middle of development, so it was good to return to design after taking a step back. The introductory level benefited most from this, as the concept stayed similar between both versions of the game. 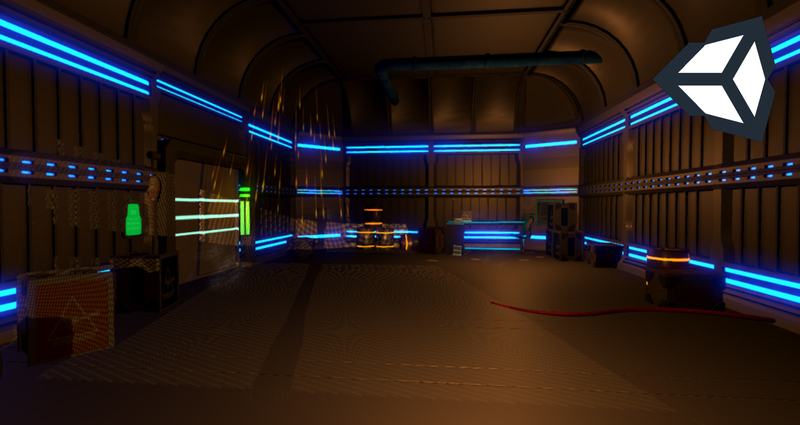 The main improvement that was made to level 1 was increasing the lived-in feel of the space station. 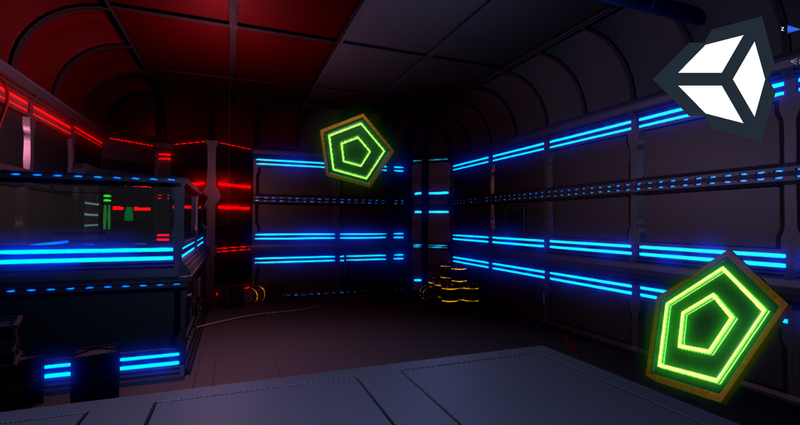 By adding work stations, locked doors, and posters, the level feels more alive.